In recent years, medical research and drug development have transformed the outlook of countless people living with diseases that were formerly untreatable. Desire for tenable treatments and cures, however, is not sufficient to prompt the ongoing development of new therapies. Policymakers now face a challenge: to create and maintain a climate that fosters innovations in health while providing widespread access and meeting therapeutic needs. Rare diseases add another poorly understood dimension to this well-recognized debate. While many diseases discussed in the intellectual property context are “diseases of the poor,” this is not the case for rare genetic diseases. Their very nature means that they are infrequently encountered, and this stymies funding for meaningful research and stifles widespread access and discussion. A 2012 study called “Promoting Access to Medical Technologies and Innovation: Intersections between public health, intellectual property, and trade,” is designed to assist policymakers in understanding their options as they work to address the increasing need for access and innovation by designing effective strategies to better public health. Conducted by the World Health Organization (WHO), the World Intellectual Property Organization (WIPO), and the World Trade Organization (WTO), their discussion on protected test data and patents is relevant to the IP of rare diseases. WIPO argues that public health and technology are inextricably intertwined. Technologies including modern imaging techniques have improved health outcomes, the accuracy of diagnoses, and the efficiency of treatments in countless ways. It is risky and costly to develop these sorts of complex processes and products. Researchers need to know there is a reward for that risk. However, unlike areas of technological development that produce a flatter, brighter television set or a smaller mobile phone, medical innovation has a crucial ethical dimension to it. When it comes to medical innovation, traditional thought has referred to what some call the regulatory ethics paradigm (REP). REP insists that innovative technologies must be assessed carefully through research and only much later reanalyzed through the lens of patient rights. However, rare diseases prompt bioethicists to learn to process medical innovation and patient rights simultaneously to help foster more advances and access to information. Rare diseases and the way they are often dealt with in the research and pharmaceutical arenas lead to their own kinds of ethical questions. For example, whether or not a certain country has guaranteed a right to healthcare, the rarity of a disease may preclude access to any meaningful treatment. This causes some to see a kind of “second class” made up of rare disease sufferers and their families. While many bioethicists may want to protect patients in research studies, for example, lack of attention for rare diseases which is dictated by economics can be seen as an ethical problem, particularly since those without access to treatments may lose even their lives. Ethics aside, high costs and high failure rates, liability issues, and rigorous regulatory oversight all play a role in determining which research is conducted when and by whom. 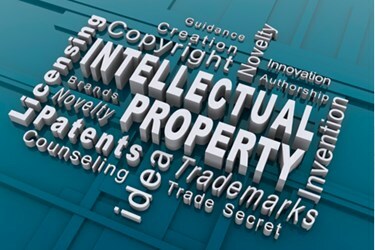 Therefore, IP protection is central for companies involved in medical research and development (R&D). This is not just the case for genomics technologies; drug research and even medical device research are all implicated in the effective treatment of rare diseases. New technologies have opened up a world of possibilities for rare disease sufferers. For example, researchers have been able to harness monoclonal antibodies antibodies in both diagnosis and treatment of certain rare diseases. Therapeutics like this may qualify for orphan drug status as well. However, genomics technologies in particular are out of reach for most patients — not because of classic reasons such as high cost or lack of awareness about options, but because patients and families cannot reasonably use this kind of information because of existing medical research culture norms and intellectual property rules. The patent system and intellectual property law in general is premised upon a rationale stating that innovation must be economically appealing and that the associated knowledge must be made accessible to society. This is the knife's blade that IP law dances upon: the balancing of competing public and private interests. Patent applications are made public. This means anyone can read about the details of a discovery and put them to use. Public patent databases, such as WIPO′s PATENTSCOPE, provide insights into trends in innovation, which can, in turn, help create new licensing and patenting strategies. Current data show that medical technologies are of renewed interest to investors and that a wide range of private and public users from both developed and emerging economies are active participants in the international patent system. Patents on medical technologies are probably the most controversial area of the system. This is because simple access to public information concerning medical technology does not guarantee meaningful access. The WHO Framework for Access to Medicines informs us that multiple factors influence access to medicines, including affordable prices, rational choice and use of medicines, reliable supply and health systems, and sustainable financing. For rare disease sufferers, the confluence of all these factors creates an impossible situation within the existing international patent system. Without a large community of people impacted by any one disease, the financial motivation to research it is largely absent. The issue of orphan drugs, discussed thoroughly elsewhere, highlights this problem. Striking an appropriate balance between fostering medical research and empowering access to it is a serious problem for private companies, policymakers, and individuals alike. This issue was catapulted onto the international stage during the 1980s and 1990s as treatments for HIV/AIDS were developed. The TRIPs Agreement and surrounding expert commentary clarified both rules and priorities for the global community's approach to IP with the emphasis on ensuring access to medicines by impoverished residents of developing countries. Creative IP strategies are the key to striking a balance between the needs of rare disease patients and the goals of medical researchers. Patent pools, technology trusts, and innovative licensing and alliances can all enable both rare disease research and access. WIPO describes a patent pool as “a consortium of at least two companies that agree to cross-license patents relating to a particular technology on fair, reasonable, and non-discriminatory terms.” An example of this kind of arrangement is the Medicines Patent Pool Foundation. This organization aggregates patent rights to antiretroviral drugs and licenses them to manufacturers of generic drugs. IP rights affect the affordability of patented drugs. To address this, a variety of funding mechanisms evolved — mostly philanthropic and public mechanisms. “Push” mechanisms like tax credits and funding of grants encourage medical research, especially on neglected tropical diseases, despite an uncertain outcome. “Pull” mechanisms encourage R&D by offering definite guarantees, such as prizes, Advance Market Commitments, and Advanced Purchase Commitments, designed to prompt development of solutions for diseases which lack sustainable markets. Obviously, the latter approach is most useful in the rare diseases treatment. WIPO cites several central flexibilities in patent law which could improve access to treatments. One of these is the choice of patent right exhaustion regimes. They place a limit on the control patent holders can maintain over their product after sales are authorized. These are most relevant for diseases that strike developing countries with inadequate ability to attain existing treatments. Refining certain patent criteria is another possible area of flexibility which could affect rare disease sufferers. Strong patent protection is most important as it relates to companies creating new drugs; it is slightly less important for creators of new genomic technologies and medical devices. Medical device companies in particular are reliant upon continuous innovation; this is true not because of patent law but because staying competitive means producing updated, improved products. Meaningful opposition or reexamination procedures, which are much less expensive and time-consuming than invalidity litigation, are another route toward broadening access. These kinds of provisions make third parties more likely to challenge access to life-saving treatments. From the perspective of a drug company, knowledge of the increased possibility of challenges could prompt more tailored patent protections, a willingness to license more freely, or both. After applications for patents are filed, third parties may oppose the patent application or ask that it be reexamined. If these procedures had specific provisions in place related to information access for rare disease sufferers, they could be tied to humanitarian access provisions. All of these patent law flexibilities could improve access to rare diseases treatments. Technology trusts are another approach benefitting rare disease sufferers. Patent pools modify the traditional one-to-one relationship between patent holders and licensees in favor of an exchange of IP between many. This kind of technology trust disperses IP in support of public health needs using crowd models. To understand how technology trusts work, we must understand how they function as a tactic to overcome patent thickets which stifle innovation. Many diseases, such as malaria, inspire patent thickets, or convoluted networks of competing and overlapping patent applications — some from public entities, but many from private holders. This in turn means that few areas of a certain disease technology remain inaccessible. Technology trusts eliminate much of the one-to-one competition of patent law by pooling all IP in a discrete knowledge area (such as a disease) and then subjecting it all to even-handed licensing strategies and humanitarian access provisions. In other words, a technology trust is a kind of open access approach to licensing which favors access to information for all. Creative strategies in IP management can also be deployed in support of rare disease sufferers. For example, the University of California (UC) has adopted the position that it has a duty to ensure that the public benefits from its research and any applications derived from it. As the university partners with private companies, it fuels economic growth, promotes innovation, returns resources to the university, and uses research for the benefit of the public. If private companies hope to benefit from UC research and exploit it for profit, they are bound to adhere to the university's humanitarian commitment. This approach is creative because it isn't common among universities; however, a focus on public interest within intellectual property law — and an appropriate balancing of the two — has been recommended by the National Academy of Sciences for some years now. It leverages the research strength of the UC institutions in the public interest while also benefitting the universities. Based on their ongoing research status, it seems this kind of commitment fosters innovation, rather than stifling it. The challenge we face as policymakers and researchers is to create and maintain a climate that fosters healthcare innovations while providing widespread access and meeting therapeutic needs. Rare diseases, by their very nature, are infrequently encountered. Our traditional IP system often stifles relevant funding and innovation. Creative IP licensing and management strategies are the kinds of reforms needed to create meaningful access and lasting change.